When hard water passes through pipes, it leaves hard deposits of calcium and magnesium behind. After some time, these minerals build up and start to restrict the flow of water. When this happens, you may need the services of professionals to clean up the pipes and get water running through normally again. In addition to the buildup in the pipes, lime deposits are dumped everywhere hard water passes through. 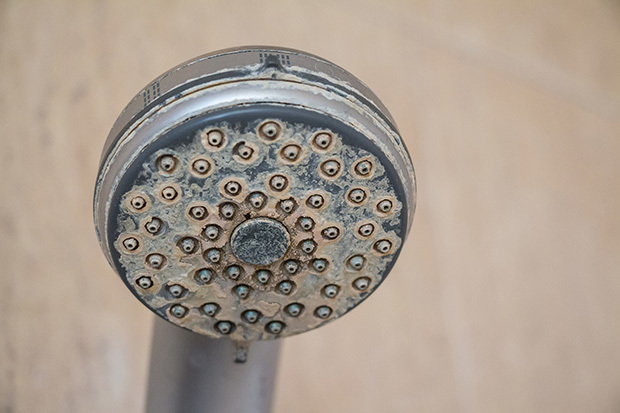 Within 18 months of the water running through it, your showerhead will only produce 75% of its flow rate. Your taps, faucets, and sinks will also get blocked over time. When limescale collects in home appliances, it affects their durability. It damages the heating elements in water heaters; and washing machines, dishwashers, and refrigerators are all vulnerable. If left unaddressed, you may find yourself servicing your appliances more frequently and replacing some of them earlier than planned. If you have noticed limescale—a whitish powdery substance—around your taps, you need the services of a professional immediately. We have a team of water treatment specialists at Show Plumbing and you can give us a call at +1-281-860-2000 to arrange a home visit.